Through her $51,000 gift, UA alumna Farley Moody Galbraith of Anniston, Alabama has established The Farley Moody Galbraith Endowed Art Scholarship in the College of Arts and Sciences.  Selection priority will be given to students who are enrolled in the Department of Art in the College and who are pursuing degrees with concentrations in ceramics, printmaking, sculpture, or painting. Galbraith earned a bachelor of arts degree in history in the College in 1941. She was born in Tuscaloosa, Alabama to Frank M. and Sarah McCorkle Moody. She married the late Wilfred Galbraith with whom she had two children: George Lock Galbraith and Farley Moody Galbraith II. The Moody and Galbraith families have been longtime patrons of the arts and loyal supporters of The University of Alabama. Farley Moody Galbraith has been fundamental to the long-term success of the Moody Gallery through her generous funding of the Farley Moody Galbraith Endowed Exhibition Fund, which has aided in attracting numerous nationally acclaimed artists to Alabama for lectures and exhibitions.